The Tsonga people are a Bantu ethnic group native mainly to South Africa and southern Mozambique. They speak Xitsonga, a Southern Bantu language which is closely related to neighbouring Nguni, Basotho, and Vhavenda. A very small number of Tsonga people are also found in Swaziland and Zimbabwe. The Tsonga people of South Africa share a common history with the Tsonga people of southern Mozambique; however they differ culturally and linguistically from the Tonga people of Zambia and Zimbabwe. Bulawayo is the second largest city in Zimbabwe, and the largest city in the country's Matabeleland. The city's population is disputed; the 2012 census listed it at 653,337, while the Bulawayo City Council claimed it to be about 1.2 million. Bulawayo covers an area of about 1,707 square kilometres (659 sq mi) in the western part of the country, along the Matsheumhlope River. Along with the capital Harare, Bulawayo is one of two cities in Zimbabwe that are also a province. During the period of the Rhodesian Bush War in the late 1960s and 1970s, the BSAP formed an important part of the white minority government's fight against black Communist guerrillas. The force formed a riot unit; a tracker combat team (later renamed the Police Anti-Terrorist Unit or PATU); a police field force Support Unit (who were distinguished by wearing black boots), an Urban Emergency Unit, a Police Reserve Air Wing or PRAW, and a Marine Division, and from 1973 offered places to white conscripts as part of Rhodesia's national service scheme. At independence, the force had a strength of approximately 11,000 regulars (about 60% black) and almost 35,000 reservists, of whom the overwhelming majority were white. A former BSAP officer, Daniel Carney, wrote a book titled Whispering Death about the BSAP in anti-terrorist operations which was later made into the film Albino . In the late 1970s a Civilian African Tracking Unit (C.A.T.U.) was added, to relieve the professional trackers in the pursuing of the enemy infiltrators into Rhodesia. Their tracking methods were based on the traditional skills and techniques of the Rhodesian Shangaan tribe. 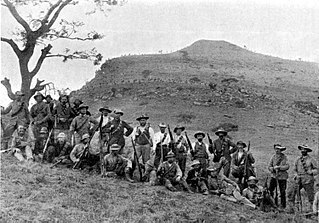 Their formations were called 'sticks', and consisted of a couple of white Rhodesian 'Patrol Officers', or 'Section Officers', and six to eight black Rhodesian trackers. Police Reservists and regular police officers organised in a similar way were called the Police Anti Terrorist Unit or PATU. ↑ "The Society of Heraldic Art" (PDF). www.heraldic-arts.com. Retrieved 14 April 2018. ↑ "BADGE - Zimbabwe (when Rhodesia) - British South Africa Police senior officer cap badge". flickr.com. Retrieved 14 April 2018. ↑ Brown, Robert K.: American mercenaries in Africa – How to be a Soldier of Fortune in Rhodesia, SOFMAG, 1976. ↑ "BSAP Rank Structure and Badges of Rank". rhodesianforces.org. Retrieved 14 April 2018. The Selous Scouts was a special forces regiment of the Rhodesian Army that operated from 1973 until the reconstitution of the country as Zimbabwe in 1980. Named after the British explorer Frederick Courteney Selous (1851–1917), its motto was pamwe chete—a Shona phrase meaning "all together", "together only" or "forward together". The Police Decoration for Gallantry was a Rhodesian gallantry award. 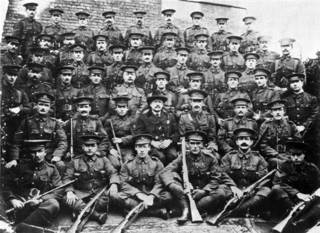 A handful were awarded for conspicuous gallantry to members of the British South Africa Police, Police Support Unit and Police Reserve. Ken Flower was a South African police officer in Southern Rhodesia. After war service in British Somaliland and Ethiopia he returned to Rhodesia in 1948 rapidly rising in the hierarchy of the BSAP. He studied the Mau Mau insurgency in Kenya and applied his knowledge in the disturbances in British Nyasaland during the late 1950s. The Northern Rhodesia Police was the police force of the British ruled protectorate of Northern Rhodesia. 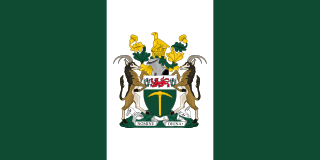 The Ministry of Internal Affairs, commonly referred to as INTAF, was a cabinet ministry of the Rhodesian government. One of Rhodesia's most important governmental departments, it was responsible for the welfare and development of the black African rural population. It played a significant role maintaining control of rural African villages during the Rhodesian Bush War. 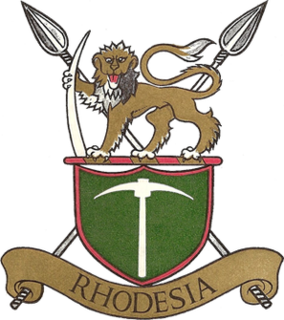 The 1st Battalion, The Rhodesian Light Infantry, commonly the Rhodesian Light Infantry, was originally formed in 1961 as a regiment of the army of the Federation of Rhodesia and Nyasaland. Raised as a light infantry unit at Brady Barracks, Bulawayo in Southern Rhodesia, the Regiment served in the Rhodesian Bush War as part of the Rhodesian Security Forces between 1964 and 1979, from 1965 under the unrecognised governments of Rhodesia and latterly, during the second half of 1979, Zimbabwe Rhodesia. The RLI remained active during an interim period under British control and then, from April 1980, within the armed forces of Zimbabwe, before disbanding on 31 October 1980. The 1st Battalion, The Rhodesian Light Infantry, commonly the Rhodesian Light Infantry, served in the Rhodesian Bush War as part of the Rhodesian Security Forces between 1964 and 1979, under the unrecognised government of Rhodesia following its 1965 Unilateral Declaration of Independence from Britain. During the second half of 1979 it fought for Zimbabwe Rhodesia, a black majority-ruled version of the same state which also failed to win international recognition. After an interim period under British control from December 1979 to April 1980, the RLI briefly remained active within the armed forces of Zimbabwe, but did not see action under this government. It disbanded on 31 October 1980. 7 Independent Company was a short-lived company of francophone volunteers in the Rhodesian Army during the Rhodesian Bush War. Numbering about 200 men at its peak, it was unique in the history of the Rhodesian Army as an exclusively expatriate unit. It existed between November 1977 and May 1978 as a company in the 1st Battalion, the Rhodesia Regiment, and served two counter-insurgency tours on Operation Hurricane in north-eastern Rhodesia. 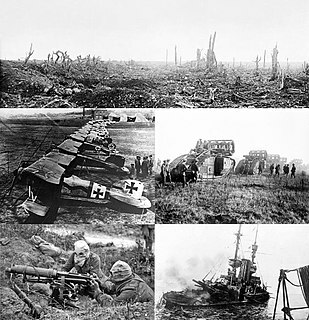 When the United Kingdom declared war on Germany at the start of World War I in August 1914, settler society in Southern Rhodesia, then administered by the British South Africa Company, received the news with great patriotic enthusiasm. 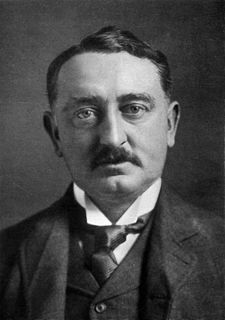 The Company administrator, Sir William Milton, wired the UK government, "All Rhodesia ... ready to do its duty". Although it supported Britain, the Company was concerned about the possible financial implications for its chartered territory should it make direct commitments to the war effort, particularly at first, so most of the colony's contribution to the war was made by Southern Rhodesians individually—not only those who volunteered to fight abroad, but also those who remained at home and raised funds to donate food, equipment and other supplies. Although many other countries have possessed chemical and biological weapons programs, Rhodesia was one of the few countries known to have used chemical and biological agents. Rhodesian CBW use took place toward the end of Rhodesia's protracted struggle against a growing African nationalist insurgency in the late 1970s. 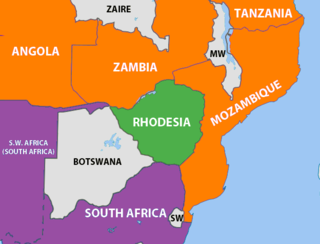 The genesis of the Rhodesian CBW effort emerged as a result of a deteriorating security situation that developed following Mozambique's independence from Portuguese colonial rule. 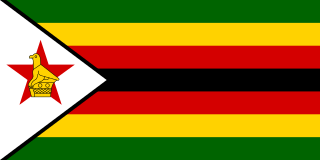 In April 1980, the former colony became the independent country of Zimbabwe. "Kum-A-Kye" or "The Kum A Kye Song" is a Rhodesian song and military march, written in 1939 by Sergeant Max Sparks, that was adopted as the regimental march of the Rhodesian British South Africa Police (BSAP) between 1947 and 1980.